It's going to be one hullabaloo on Halloween." Mark your calendars! Le Carrousel's annual Halloween party is the Saturday before Halloween. Come in your scariest costume to see Flaubert Frog and Cali Co Cat tell spooky stories and sing silly songs. 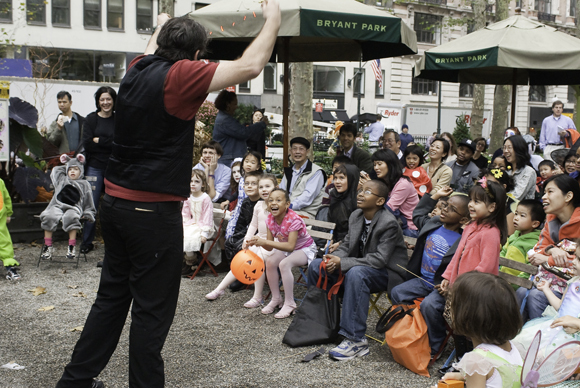 There will also be a visit by Justin the Magician, and rides on Le Carrousel for just $2.